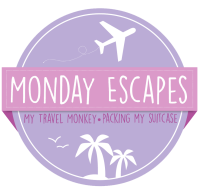 Wow, I haven't done a lifestyle post like this in ages! If you've been following me on Instagram, you know I've been in and out of a lot of different hotels. I love staying at hotels and discovering different brands. I love hotels so much I have several years experience in the industry and a Masters in Hospitality Management to boot! With that said, I've curated a list of my must-brings when it comes to staying at hotels, whether it's for one night or one month. 1. Long Charging Cord - I can't tell you how many times I've influenced my travel buddies to buy an extra long charging cord. You know how sometimes your standard cord is way too short and you find yourself sitting on the floor or bending over the bed uncomfortably just to reach your phone? No need to do that with this long charging cord from my favorite store, ban.do! It's probably my favorite item to bring with me! 2. Portable Humidifier - I can't emphasize skincare during traveling. Chances are, you flew on an airplane and if not, you're at least in a new environment or climate. The best thing you can do for your skin is keep it moisturized. I use a humidifier in my own house so why not take one with me? This portable humidifier is my life! 3. Water Bottle w/ Filter - This is such a savior. Some places I end up, the water is drinkable but not recommended. That's when this water bottle with a filter comes in handy. It filters the water to make it cleaner and even more drinkable. After a few months of usage, you can just buy new filters instead of buying an entire bottle again. Who wants to pay $8 for a bottle of hotel water anyway? 4. Hair Claw - This isn't what you think! I don't use it for my hair, I actually use it for curtains in the hotel room! I'm the type that needs a pitch black room to fall asleep and hotel curtains always have tiny slits where the sunlight beams in to wake me up. Don't get me wrong, I love sunshine but I'm not waking up before I need to. I can't live without these! 5. Eye Mask - If you forget the hair claw, no worries. Just don't forget your eye mask. Make your world pitch black and have an amazing night's sleep. This is my eye mask and love it - silk is gentle on your skin, which is always a great investment! 6. Earplugs - If you've stayed at a hotel before, there's a chance you've had a noisy neighbor. I hate that. The solution? Earplugs. They're small, light and oh-so-convenient. I grab a box of these earplugs from Target and they last forever. Sleep tight! 7. Face Masks - I loooooooooove face masks anytime but especially at hotels, it feels so luxurious. When I run out of face masks my Mom sends me from Japan, I love these Sephora face masks. Another trick? Throw it in the fridge if you have one in the room for a wonderful, cooling sensation. Plus, your skin will thank you for some moisture! 8. Wrinkle Releaser - I cannot live without this Downy wrinkle releaser , I just cannot. Whether you roll your clothes or have other amazing ways to pack, clothes still end up with wrinkles. This is such an easy spray. Just put your item of clothing on a hanger, spritz and wait. The wrinkles disappear! 9. Flip Flops - Flip flops take practically no space in your suitcase but is so convenient to have. If you need to run down the hall for ice, down to the lobby or to the pool, flip flops are so easy. I started taking these flip flops with me after being really annoyed about wearing heels or sneakers just to go around the hotel. 10. Bath Bomb - Since studies show that Millenials aren't into taking baths in the United States, a lot of hotels are getting rid of bathtubs. Maybe it's because I'm Japanese and we're a huge bath-taking culture, the elimination of tubs make me really sad. But some properties still have them (yay!) and I always bring a bath bomb with me. My favorite is the "Go To Sleep" oil cube from Urban Outfitters! Bonus! Emergen-C Packets - With any sort of climate change or long hours of traveling, your body becomes vulnerable. That's why I always pack Emergen-C Packets . In the morning, I'll mix a packet with a glass of water for a much-needed vitamin boost. 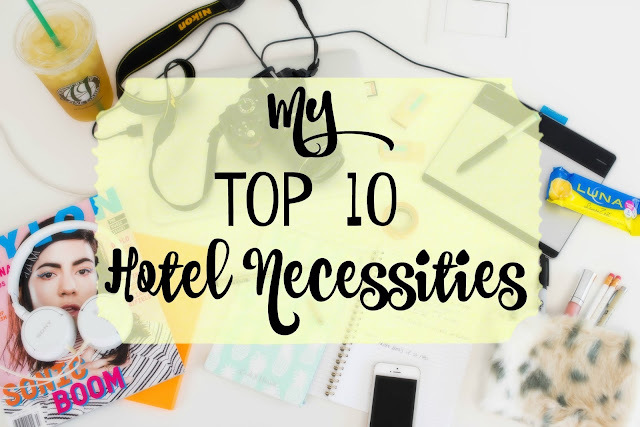 Do you think you'll bring any of these on your next trip?Do you have hotel necessities? Let me know! Some links are affiliate links - thank you for your support! Haha I really enjoyed reading. I'm a huge fan of bath bombs. Happy to see someone else I know loves taking baths!